The Sepass Poems are ancient and date to a time, long before Europeans arrived in North America. The poems were translated from the Halq’eméylem language into English over a 4-year period, between 1911 and 1915 and represent the only work of ‘classic’ Halq’eméylem literature-in-translation. 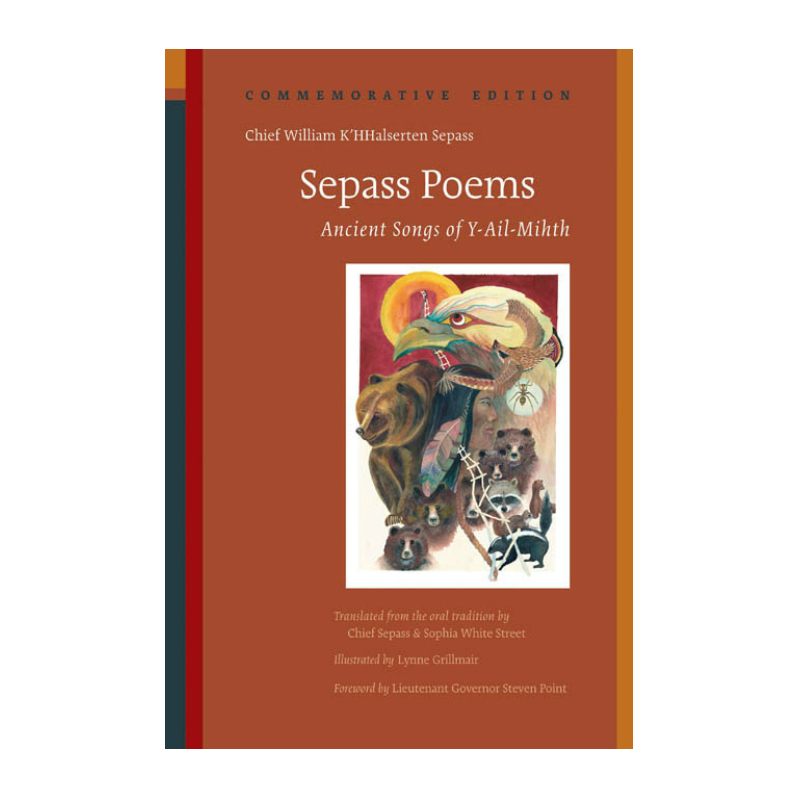 The poems are documented in this book as told by Chief William K’HHalserten Sepass (b. circa 1840, d. 1943), Chief of Skowkale for over 60 years. High quality book, printed on FSC approved high-grade paper, full colour artwork, two Paul Kane oil paintings (courtesy of Royal Ontario Museum), linen hard case with debossed artwork by George Clutesi, (from 1963 edition, courtesy of George Clutesi family). 1,200 Commemorative Edition (1000 with dust-jacket). Limited number of books are signed by Gerald Sepass, grandson of Chief Sepass. $34.95 CDN plus shipping across Canada.